For starters, just call me Akoli. I’m neither a novice affiliate marketer nor a very seasoned one yet. I’m somewhere in the middle, but more towards the latter. For that reason, I know enough about affiliate marketing to say something about it and me. I stumbled upon blogging and affiliate marketing back in 2013. At the time I was searching online for an alternative to my bleak 9-5 part-time teaching job. Since then I’ve come to love affiliate marketing more than Romeo did Juliet. I have been ingrained in the affiliate marketing business since 2015 when I got the opportunity to follow Wealthy Affiliate’s affiliate marketing training. I am going to explain exactly how I got acquainted with the affiliate world and how we can help you too to secure your future online with us from home free. I grew up dreaming to become a gynecologist… I was bright enough to realize that dream. But man proposes, God disposes. But in my case, it was man. In effect, someone misplaced my application form and I lost admission to the university. This angered me and I rebelled against the world. This threw me into peregrination that included bouts of unemployment, a stint in Nigeria and Germany and almost a decade in import-export business. During this time, I finally went to the university and came out a sociologist. But I went into the teaching of business English for almost two decades. You train people who very soon succeed in their careers. But you stay where you are. I wasn’t all that interested in dying without realizing my full potential, in every sense of the word. What could I use my experience of teaching business English and import-export business to do? It was while pondering over this that I discovered affiliate marketing through Google search. That it allied business, writing (which I had learned professionally) and teaching people to master things hooked me. Others Had Made It Online, Why Not Me? My mind immediately went back to a text I had given my students once. It concerns Dominic Mcvey, a 16-year-old British boy who misspelt Visa to Viza and stumbled upon a business opportunity online. Two years later he became a millionaire. The light exploded in my head. I knew where I would be headed henceforth. 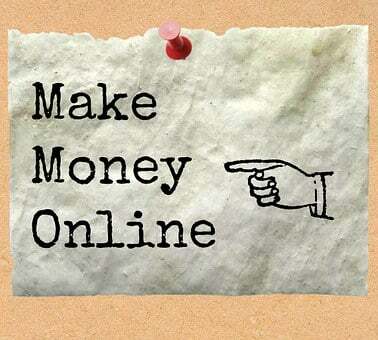 If others could make money online, I could absolutely do it too. I just had to learn how to do it. Back in 2013 when I started out, credit cards weren’t available in my country then. I had to contact a former classmate lecturing in an Australian university to pay for me. And he did. My first few paragraphs of training material were a real eye-opener. I saw it wasn’t at all complicated to make it big in affiliate marketing. Back in 2013, in addition to the problem of making payments online, I didn’t also have enough money. Lack of access to the up-to-date version of MS Word and good internet connection affected my ability to create my website and engage in affiliate marketing without headaches. It took me more time than necessary to build my first website on the free blogger website platform. With practically no knowledge of keyword research, SEO-rich content and search engine optimization, my attempts to drive traffic and succeed in affiliate marketing seemed like an obstacle course. I signed up with affiliate programs like Commission Junction (CJ), ClickBank, PayDotCom, Rakuten Linkshare and a few others. But with no knowledge of marketing and promotion online, my site was like a toothless bulldog. So you can imagine my surprise when one day I received a check for $75 from ClickBank. “Which good Samaritan had bought something through my site?” was my first thought. My hope was rekindled but I didn’t know how to fan the flames for more sales. I held up my gloves. Once bitten, twice shy, they say. The affiliate marketing dream refused to leave me alone. One day I hopped on Google again. Then my eyes widened when I fell on a review about Wealthy Affiliate. I told a brother about it and whined about the lack of credit card payments which was going to rob me of the opportunity. I didn’t want to trouble anybody for payment again. My brother said a bank had begun MasterCard credit cards. I embraced my brother, rushed to the bank and bought one. Then I signed up as a Wealthy Affiliate member. Pretty soon, I found out not all sites accept MasterCard for payment. Didn’t the gods want me to succeed? Then one day I learnt that another bank was offering Visa credit cards. I ditched the old one and reached for the new. This is when things really started to get interesting. The Wealthy Affiliate looked far more comprehensive than the first short one. I could buy other materials online. I learned that once you apply the training (formula for success), it is just a matter of doing more of the same thing, that is to say, SCALING your business to see more results. I made some sales with Wealthy Affiliate and AWeber but financial constraints, erratic internet connection, and lack of time and consistency delayed my progress. But it is when the going gets tough that the tough gets going. After recruiting a certain number of affiliates, Wealthy Affiliate gave me the status of “active affiliate.” This means that they will henceforth keep me in the know of certain opportunities which were not open to all members. This happened in January 2019 when Kyle, the co-owner of Wealthy Affiliate promised to train me to become a super affiliate. I applied and fortunately got accepted into the Las Vegas 2021 Super Affiliate Challenge two weeks later. This is the specialized training I’m following now at Wealthy Affiliate. So, if you join me, I can show you the shortcut to affiliate marketing success. If you are looking for ways to make money online from home FREE, especially with internet marketing (affiliate marketing and blogging), then I can show you the road to the training. Meanwhile why don’t you sign up for our mailing list below? It’s packed with 170 pages of FREE weekly reports to get you going, really. Yes, I want your FREE resources to help me make money online from home. Who is this Site Ideal for? For those just thinking of starting a career in internet/affiliate marketing: You’ve just read my story. This is the experience I want to share with you to enable you take the shorter route to online success. So, why don’t you sign up for our mailing list? Yes, I want your FREE resources to help me begin my journey to online success. For Those Who’ve Already Started and Are Looking for A Way to Scale up Their Business: Maybe you’re satisfied with what you have. But an African proverb says that there is always a village beyond the farthest village. This means that there is always room for you to improve in your business. Why don’t you grab this link to check things for yourself? At Wealthy Affiliate, you will be rubbing shoulders with very successful internet/affiliate marketers to learn more. You know others are making money online and why wouldn’t you want to figure out how they are doing it? My entire goal is to help you quit your 9-5 job, supplement your income or have a full-time profitable business online. You can begin right now, FREE. Well, it’s been nice meeting you and sharing all these thoughts with you. If you have any questions, feel free to contact me or drop me a comment below. N.B. : This updated version of my About Me page has been updated again on April 20, 2019 to offer you further perspectives of me and my business.